The new William Monroe Trotter Multicultural Center is a result of extensive outreach and input from a variety of constituents. Engagement included four town halls, eight focus group sessions, benchmarking to other university multicultural centers, and a survey of students. 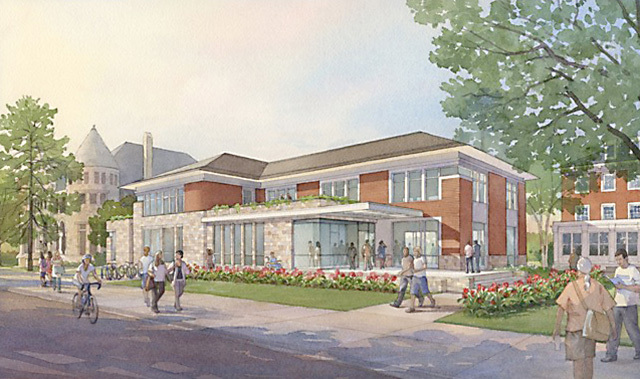 The new building is proposed to be approximately 20,000 gross square feet to accommodate replacement spaces from the current facility along with a multipurpose room that will be able to accommodate approximately 300 people in both banquet-style seating for conferences and events and an active learning configuration that will accommodate more than 100 students. Parking will be accommodated within existing parking spaces on Central Campus.